Before you go ahead with a home improvement project of replacing your interior doors, you must examine the state and the designs of your existing interior windows. Before settling down on the designs, you would have to ascertain that all the doors of your residential property synchronize together in terms of design and look. Otherwise, it runs the risk of looking too haphazard. You must consider replacing interior doors once you start seeing visible damage on their surface and notice a reduction in their functionality. Listed below are a few tips that will assist you in your purchase of interior door replacement units. There is a range of options available in the market when it comes to interior doors. Amongst these, you would have to research and look into the most appropriate type of interior doors to ensure optimal functionality for your purposes and a style that would sit well with the existing décor of your house. The major categories of interior doors can range from French doors, engineered wood doors, accordion doors, solid wood doors, bi-fold doors, fire-resistant doors, pocket doors, and faux wood doors, to name a few. Every category of interior doors has its own purpose and advantages. For instance, a solid wood door would be the most appropriate choice for you is you wish to impede the transmission of noise from one room to another. Fire-resistant doors, on the other hand, provide you with a span of time in case of fire contingencies so that you can salvage your belongings and have the benefit of added security for your family. Additionally, if your house is built on a rather smaller area, a pocket door would take a minimal room to open and would help you economize the available space. If you’re not in a position to replace the entirety of your interior door, you can take the alternate route of replacing the interior door trim instead. This would relatively take you lesser time as well, usually just a few hours at most. Removing the old trim is something you can do on your own, or you can consult with the experts at your professional doors and windows replacement services. While getting new trims, you could either choose a flatter, easy-to-paint model or decide on a more intricate and extravagant design. This choice would have to made in accordance with your preferences and the designs of the rest of your trims. It goes without saying that trying to install a new pre-hung and blank interior door all by yourself would hardly match up to the installation procedure and results of a professional interior door installation team. 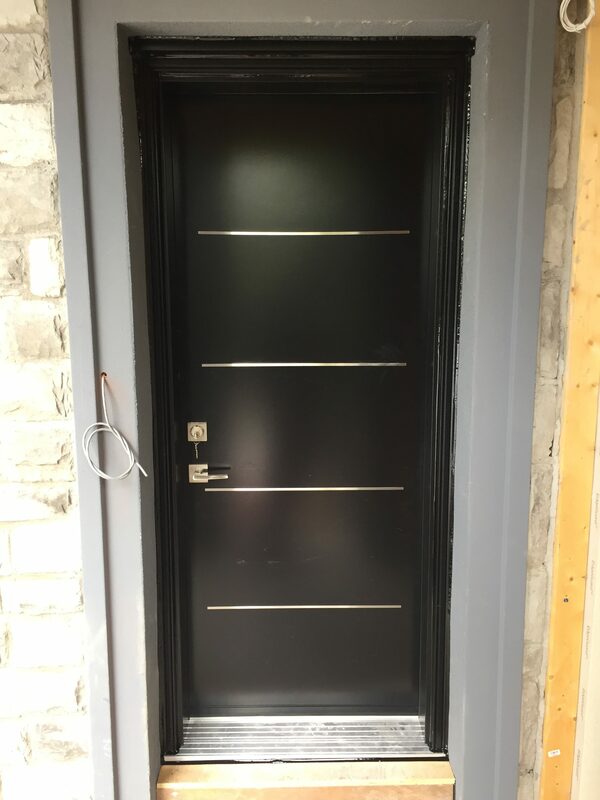 They will be competent to install the doors at a scheduled period of time and you would have the guarantee of a proper interior door installation. They would also be experienced and trained enough to know the solutions of any problems that might arise on the site of the job and make sure that the interior door replacement project is done with the least amount of mistakes. Moreover, they would also be qualified enough to recommend you what door type would work the best in light of your preferences. If you have been on the lookout for a reputable interior door replacement and installation company, you can solicit the services of On Star Windows & Doors to assist you in your home improvement project. What are the Top 5 Patio Door Trends?